Why won’t my two-year-old stay in bed?? As parents, many of us can relate to Mercer Mayer’s book, “Just Go To Bed”. And in the midst of it all, our own little critters don’t seem half as cute as Mayer’s Little Critter. We’re filled with feelings of frustration, doubt, and even sometimes failure. How do we cope? Here is one mom’s question. Anti-SuperNanny’s Answer: What would SuperNanny do? Why, she’d have you march that little guy right back to bed as many times as he got up! The first time, you’d say, “I love you, goodnight!” Every time after that, you’d say nothing at all and just tuck him back in silently and walk away. This may work for some families, but most families I know are not made up of parents with the seemingly never-ending patience and energy to keep up with such a routine. Let’s look at the reality of the situation. Your little one is two years old. This means huge things are happening developmentally – synapses rewiring, awareness growing. The world is a scary place! He is not trying to manipulate you. He is just developmentally not capable of such a thing. Manipulation requires an acute awareness of Other- something that, at two, he’s only just begun to discover. To him, the two of you are still, in a sense, the same person. He is learning right now that is not true, and that awareness is scary. Suddenly, the world is so much bigger than mama and daddy. He’s also begun to develop the awareness of power and control. He can control what happens to him – but he hasn’t isolated when he can exercise that control. (This is why “NO!” is such a favorite word with two-year-olds). The sense of having all this power but not knowing how to use it leaves him feeling powerless. And of course, you being so attached to your little one’s well being, you start to feel that powerlessness, too. We want our children to feel secure and safe. And we want to feel like we’re doing something right, and somehow, seeing that sweet face sleeping is just the validation we seek. Each of us in our own individual families and situations must look within ourselves and identify what gives *us* that sense of security and safety, and somehow translate that into our relationship with our children. So how can you and your little bug work together? How can he have more control over bedtime? How can you have more control over your time? Split the bedtime routine with another adult. Have another adult give the bath, read a story, or do other relaxing activities, while you find a way to center and relax yourself; then take over the act of putting the child to bed. Alternately, do this the other way around, where you relax with your child, and the other adult puts the child to bed. Stay in the room with your child, singing lullabyes, telling stories, and/or talking until they are ready for sleep. Offer choices to give a sense of control. “Do you want the pink pajamas or the racecar pajamas?” “Do you plan to brush your teeth before or after your bath?” Remember to only offer choices you can live with, regardless of the outcome. When your child gets up, allow them to cuddle up for a little while before putting her back to bed. Forgo bedtime altogether. Let your child decide when she is sleepy and adjust accordingly. Obviously, these solutions are not for everyone. Your family is a unique and strange animal. There is no other family like it. The decisions you make are for your family alone – no one else can replicate the experience because you are all so unique! You have to do what is right for your family. I would highly encourage you to talk with your kiddo about bedtime when you’re both feeling calm and peaceful, during the day. Even with a limited vocabulary, he can tell you so much about what he needs or wants. Start with an observation. “Sweetie, I notice that at bedtime, it’s hard for you to stay in bed. What can you tell me about that?” Let him go with it and follow his lead. He may not say anything directly, but ask to play a game instead – and your answer may come there. And if doesn’t work, wait a day, and try again. Finally – with regard to feeling guilty, I’ve said it before, and I’ll repeat it over and over again. We do the best with what we have. This is my cardinal rule of parenting. As parents, we are constantly growing, and it does no good to compare our actions today with our actions in the past – we didn’t have the tools and skillset then that we do now. We didn’t have the perspective then that we do now. There’s no place for judgment in the world of parenting – of yourself, or anyone else. Anti-SuperNanny’s thoughts on toddlers and bedtime. Just wait til he turns 4. Hopefully you will have things under control by then. But, what worked at 2 doesn’t necessarily work at 4. I’ve done a lot of research on the subject and have personal experience as well. 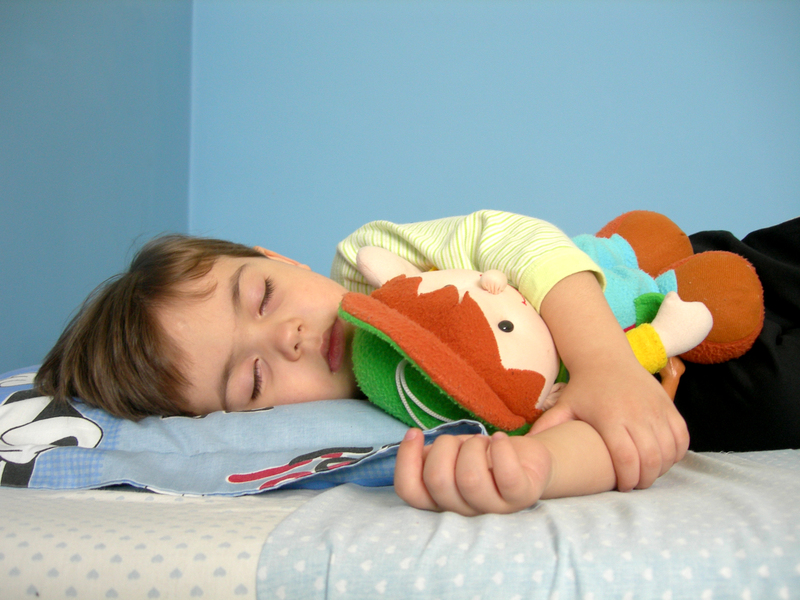 I wrote an article, “How to Avoid Bedtime Battles” that goes along with what Anti-SuperNanny suggests plus it offers several more options with the suggestion that you should choose the routines that work best for your family. If you’re at your wit’s end, please give it a read. My 11 year old is lying to me! Weekend thoughts, and Happy Mother’s Day! My 9 year old’s anger scares me!